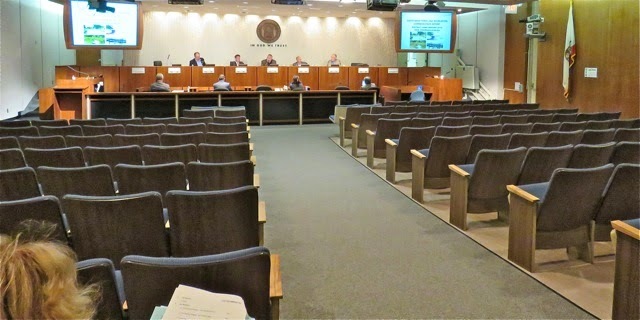 The Costa Mesa Planning Commission, led by Chairman Rob Dickson, meets again beginning at 6:00 p.m. in City Council Chambers at City Hall on Monday, April 27, 2015 and has a variety of issues on the agenda, HERE. Right off the top they will consider the Consent Calendar - items considered routine and would typically be considered with one vote and no discussion of any individual item. This time around there are four (4) items on the Consent Calendar and at least two of them are interesting/provocative enough to perhaps warrant a little discussion. For example, Item #2, HERE, is the 2015 Development Phasing and Performance Monitoring Report - the nearly 50 page report, the purpose of which is to "conduct an annual review of the cumulative impacts of development and circulation system capacity." Well, since there have been many concerns expressed recently by activists about the impact of what some have described as "willy-nilly" development throughout the city, it would seem that this report could help defuse some of those criticisms - or fuel them, depending on how you interpret the numbers. Perhaps someone will ask to have this report explained on Monday. Item #4, HERE, is the General Plan Conformity Resolution For The City of Costa Mesa One Year 2015-2016 and Seven-Year 2015-2022 Capital Improvement Programs. State law requires that the Planning Commission review these programs, which are plans nearly $280 million in capital improvements in the city over that seven year period. Perhaps a curious commissioner or member of the public will ask for a little explanation. We'll see. Public Hearing #1, HERE, is a request for a two-year time extension for a 33-unit common interest development at 2626 Harbor Blvd. - at the corner of Harbor and Merrimac Way, across the street from the renovation project for the Cadillac dealership. The City previously approved this development in September, 2011. The site is being used as a temporary venue for the Cadillac dealership, so the applicant needs more time for that project to be completed before he can commence with his. Former Director of Economic and Development Services and Deputy CEO Peter Naghavi represents the developer. Public Hearing #2, HERE, is another small lot development - this one at 162 East 18th Street, where a 2-unit, two story detached development is planned, replacing two single-story units and a shed. Public Hearing #3, HERE, is yet another development - this on a 24-unit residential development at 650 Hamilton Street. This is the former site of a church, which has been demolished. Last September it was approved for an 18-unit development for another builder, who has since sold the property to the current owner, who is back asking to increase the previously-approved density by a third. Several administrative adjustments are being requested. 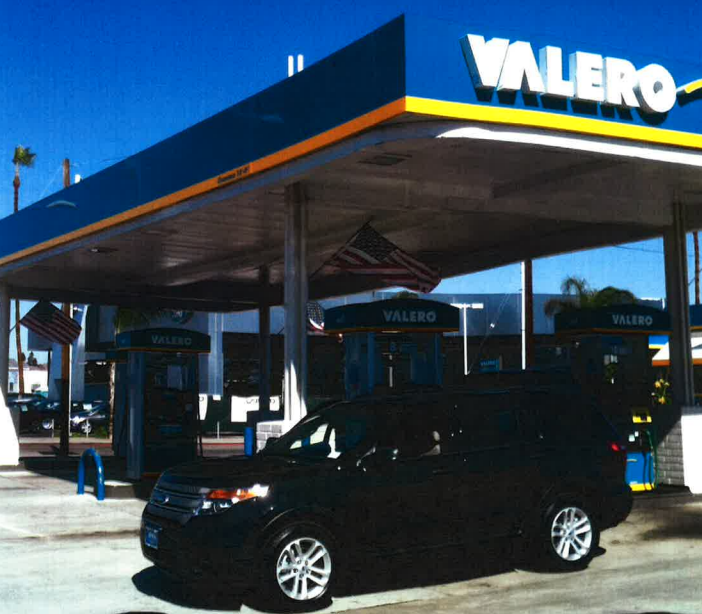 Public Hearing #4, HERE, is a conditional use permit to construct a Hydrogen Dispensing Station at an existing gas station at 2050 Harbor Blvd., across Bay Street from Theodore Robins Ford. 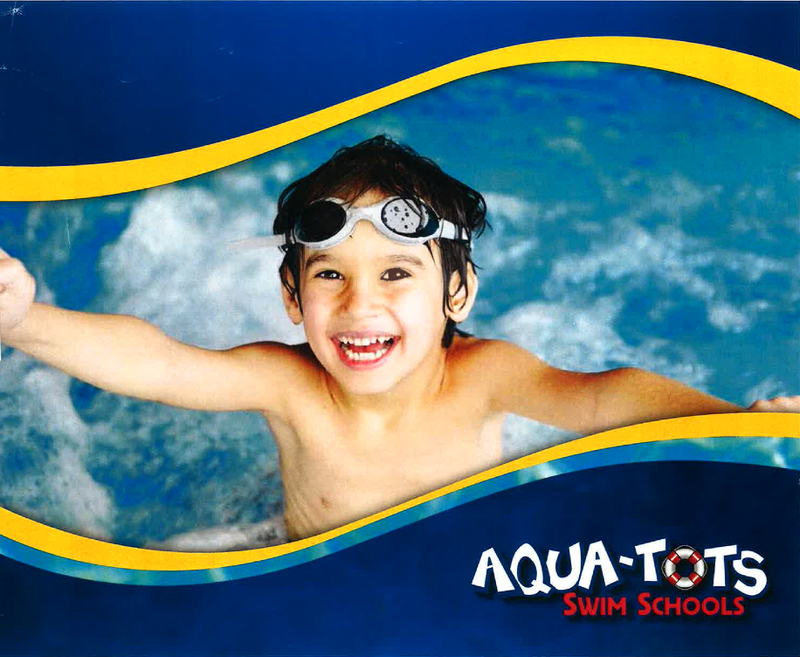 Public Hearing #5, HERE, is the final item on the agenda and is a request for a conditional use permit for an Indoor Swim School - Aqua Tots - in the KMart Plaza shopping center at the corner of Harbor and Wilson Street, and requires a deviation from shared parking requirements. 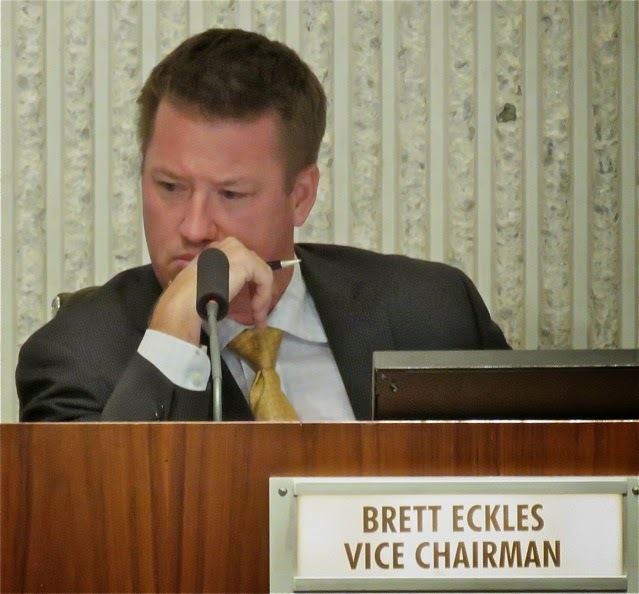 The Costa Mesa Parks and Recreation Commission met again Thursday evening in a meeting that was productive and lasted longer than anticipated. 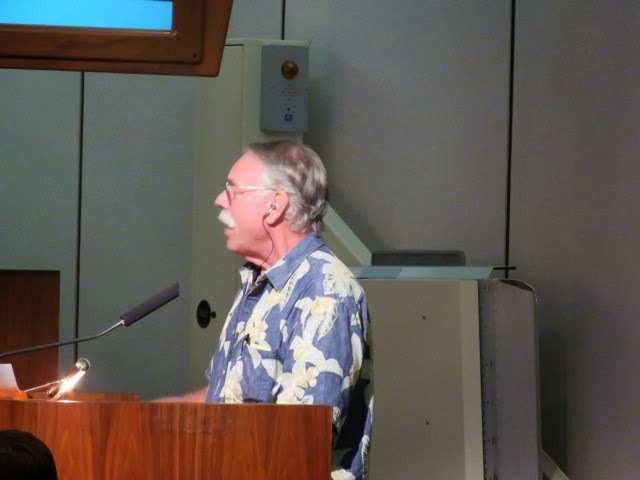 Just over two dozen people in the audience at the beginning saw the commissioners spend just under two hours hearing two separate, yet related, issues involving tree removal requests in a community near the Baker Street off ramp of the 73 Freeway. 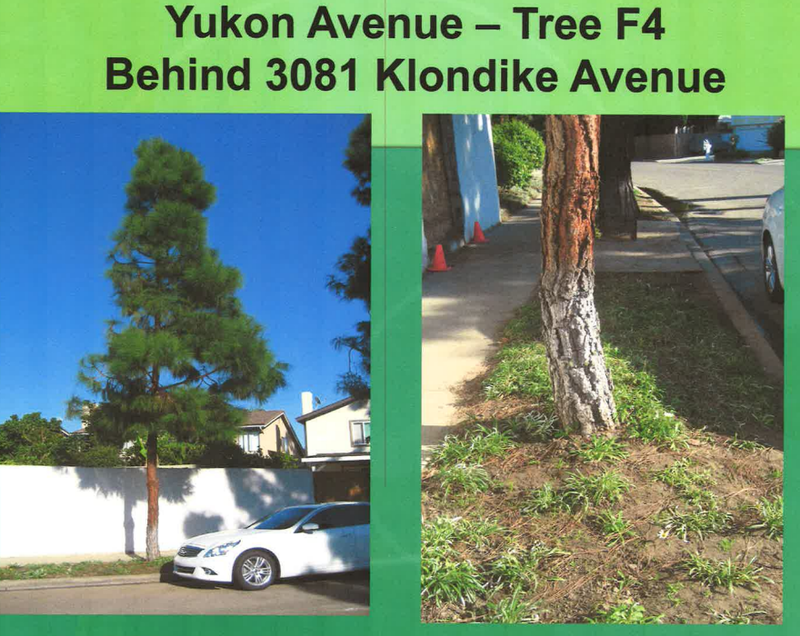 The first, at 3081 Klondike Avenue, property owner Gabriella Oseguera, requested two more city-owned trees be removed because of a variety of reasons dealing with pollen, dust and potential future damage to her wall. 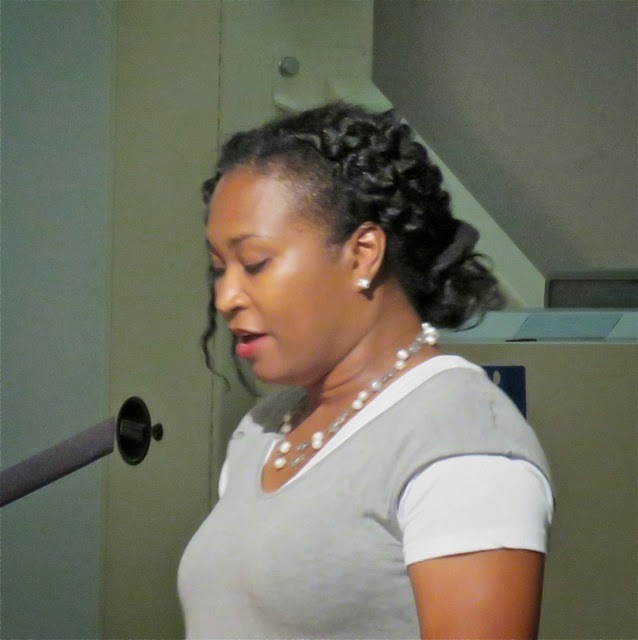 Several residents rose to speak both for and against her request, including former Parks and Recreation Commissioner Mark Harris and his wife, Jessica. Clearly, there is ill-will within that community, as was reflected by the sniping at each other by some from the speaker's podium. 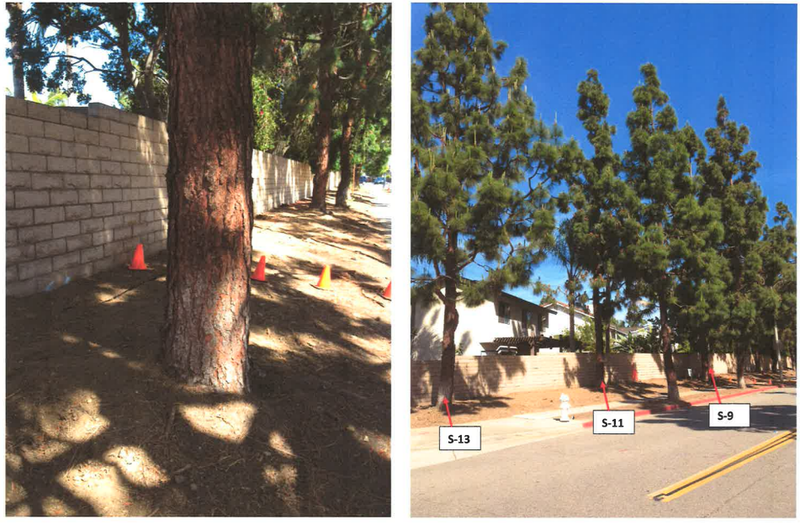 In the end, the commissioners voted unanimously to NOT remove the trees because no evidence of actual damage had been presented. PROSPECT PLACE TREES A TENTATIVE "NO"
The second request was for three city-owned trees to be removed from property adjacent to 883 Prospect Place. Many of the same people stepped up to support the request and a few opposed it. Residents Kelly and Scott Waterman contended that three trees near their property would eventually cause damage to their backyard, which is about to undergo renovation. In the end, at the suggestion of commissioner Byron de Arakal, city staff will go to the site and, in conjunction with the contractor hired by the Watermans, excavate inside their yard near the wall to determine IF the roots from existing trees are going to be a problem, or not. The request was denied, but staff may overturn that vote if the above-mentioned excavation determines that the roots of those trees are immediately problematic. Next up was the Costa Mesa Skate Park Report. Recreation Manager Travis Karlen presented a positive report, indicating that there are now 8 Park Ambassadors assigned to work at and around the Skate Park each day. Costa Mesa Police Lieutenant Vic Bakkila told us criminal activities are down in and near the Skate Park, and that most of those violating the rules are not Costa Mesa residents. 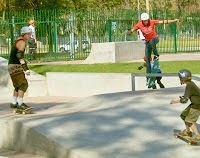 Speakers requested longer hours at the Skate Park, but the commissioners felt the existing hours are satisfactory now. Eventually the commission voted to receive and file the report. Next came a request for an easement into a small section of Fairview Park. Developer Peter Zehnder explained that if this request is denied the water from his developement could continue to flow directly onto Fairview Park, to which this project is contiguous. This whole train of thought seemed a little backward - the cart was before the horse. The commission may not authorize an easement, just confirm that the plan does not violate the existing Fairview Park Master Plan. Great concern was expressed about the builder and other contractors having to dig up part of the park that houses protected Native American sites. 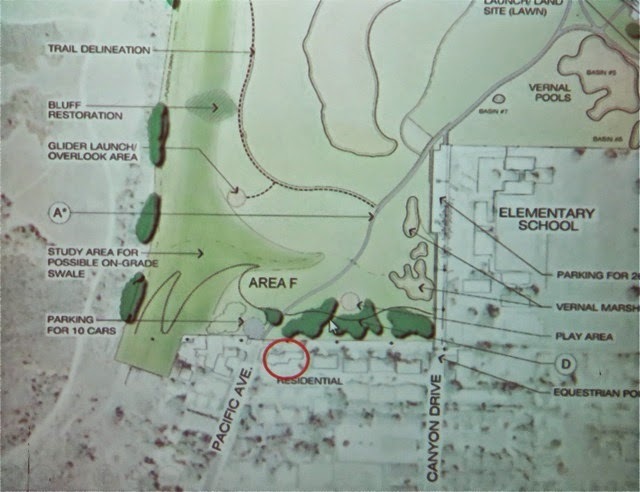 This process took much longer than necessary, but the issue was thoroughly vetted before the commission voted to confirm that the requested easement did not violate the existing Fairview Park Master Plan. 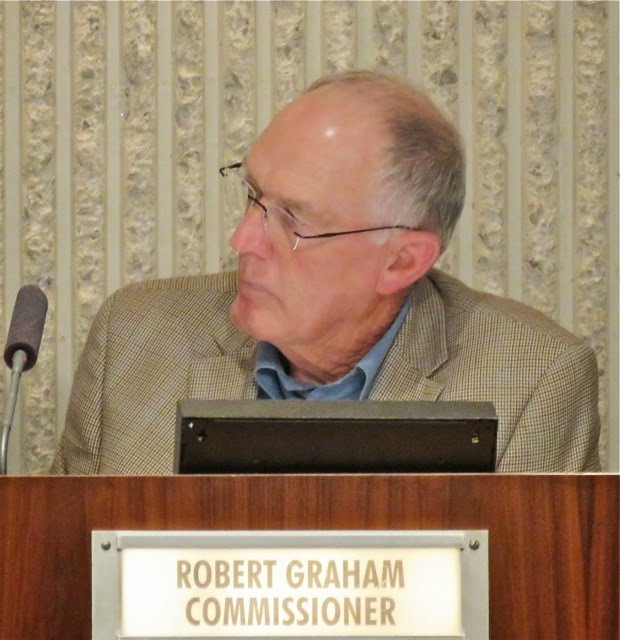 Next the commission voted to appoint Bob Graham as primary liaison to the Fairview Park Citizens Advisory Committee, which is presently on a year-long hiatus. Don Harper was appointed as alternate. 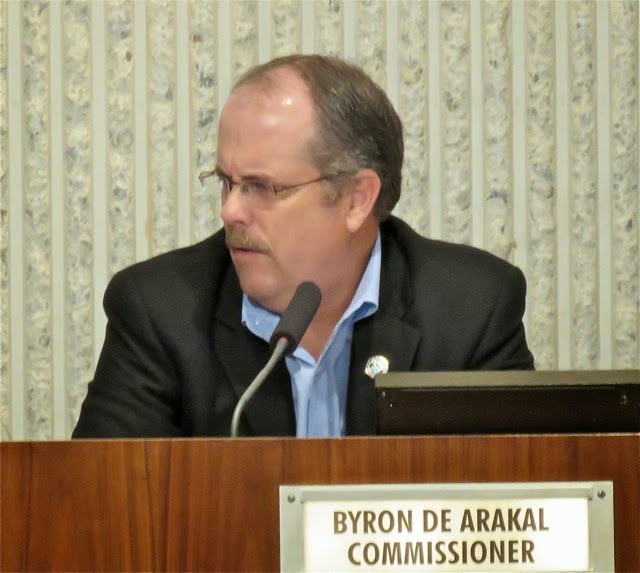 They then voted to permit Byron de Arakal, at his request, to remain the liaison to the Newport Mesa Unified School District Committee because of his familiarity with the relationship and the various issues being worked by that committee. 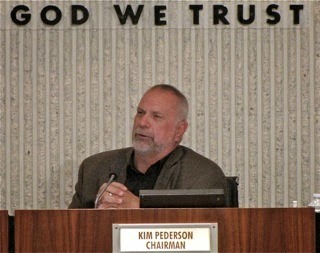 Chairman Kim Pederson was named alternate. Then the commissioners launched into their individual reports on the parks for which they have primary responsibility - a task that took an hour, but was worth hearing. Each member discussed each of their assigned parks, providing their opinion of the positive elements of the parks and listing areas where improvement were necessary. This brainstorm of de Arakal's while he was Chairman has turned out to be a very positive change. Instead of every commissioner trying to become thoroughly knowledgeable about every element of every park, each focuses on a handful and provides reports to the entire body. This was the first such report and the staff will take their views under advisement for possible inclusion in the budget where necessary or for direct action if appropriate. 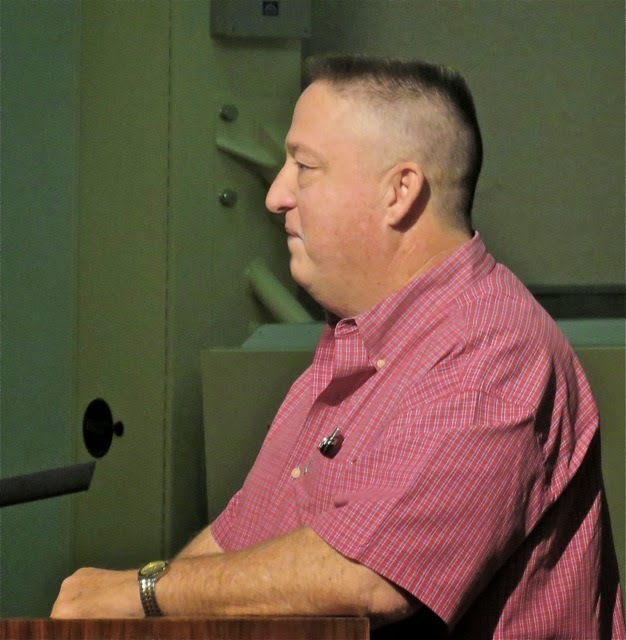 Issues like the need for bike racks, more frequent sandbox rototilling and maintenance of restrooms and dining shelters were among the many items mentioned. Following the reports from Parks Project Manager Bart Mejia, Recreation Manager Travis Karlen and Maintenance Services Manager Bruce Hartley and committee member comments, just after 11 p.m. Chairman Pederson bid both of us remaining in the audience a fond adieu and adjourned to a possible study session on May 20th and the next regularly scheduled meeting on May 28th, just before the Memorial Day long weekend. 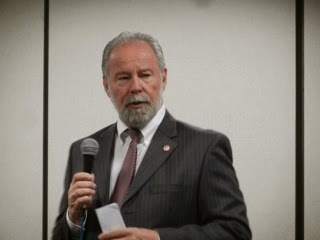 Orange Coast College President Dennis Harkins is inviting members of the community to attend the most recent in a series of meetings to hear, and discuss, Vision 2020, the strategic facilities master plan, on Monday evening, April 27, 2015 beginning at 6:00 p.m. in the OCC Student Center Classroom. 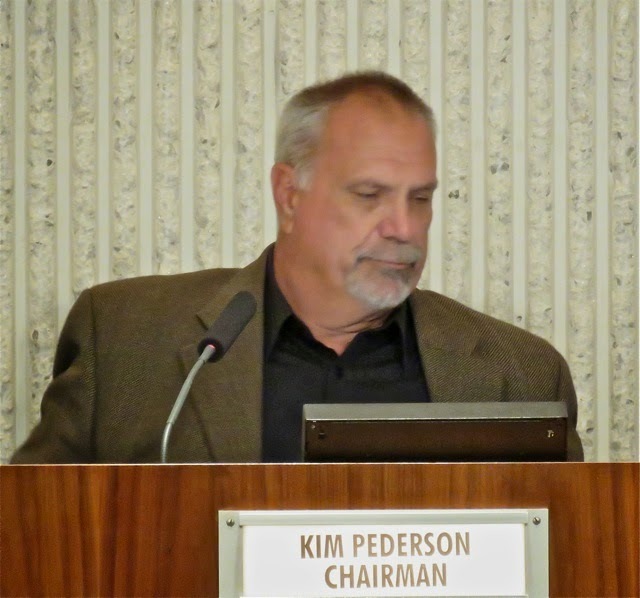 Tomorrow, Thursday, April 23, 2015, beginning at 6 p.m. in City Council Chambers at City Hall, the Costa Mesa Parks and Recreation Commission, under the leadership of Chairman Kim Pederson, will plow through one of the more interesting agendas for that group in many months. You can read the full agenda HERE. Item 9a is a tree removal request at 3081 Klondike Avenue. This issue has been swirling around for more than 18 months, with several trees in that immediate area already approved/removed. The staff is recommending denial of the request, HERE. Item 9b is another tree removal request - at 883 Prospect Place - and the staff also recommends denial of this removal request, HERE. The trees in question are in the same neighborhood as the ones in 9a. Item 9c is the Costa Mesa Skate Park Report, HERE. Recreation Manager Travis Karlen outlines the history in his staff report and, basically, says everything is just hunky dory and no changes are recommended. 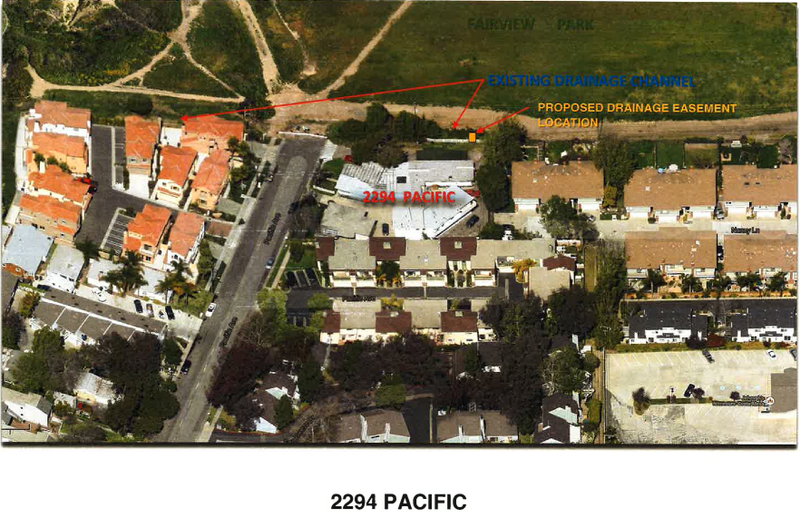 Item 9d, HERE, is a request for a drainage easement along a small chunk of Fairview Park to facilitate proper drainage from a new development at 2294 Pacific Avenue, contiguous with the park. The alternative is a costly drainage pump system that, according to the staff report, really wouldn't accomplish much. This request simply perpetuates the current flow of water from the existing lots involved in this development. Item 9e, HERE, is the review of the proposed Capital Improvement Program for Fiscal Year 2015-2016 through 2021-2022. 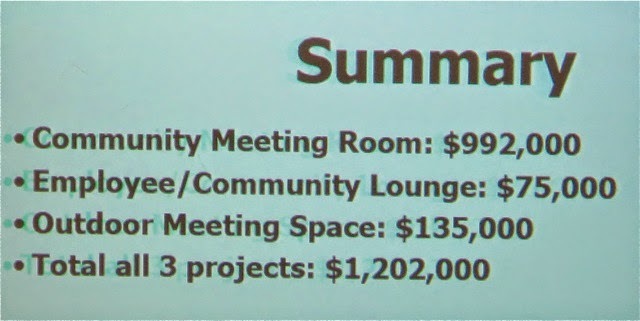 The 137 page report lists projects that would total nearly $230.5 million over that seven year period. The details are all there for your reading pleasure. Take your time... I'll wait. Item 9f, HERE, is the request from staff for the commission to appoint one of their own as liaison to two committees - the City/Newport Mesa Unified School District and the Fairview Park Citizen's Advisory Committee. In the case of the latter, that committee has basically been put on hiatus for a year, with their final report to the commission stalled by the update of the Master Plan of Parks. Next comes the individual reports from the commissioners on their Park Districts. There are no staff reports provided. This will be the first time such reports are presented by the individual commissioners, so it will be interesting. 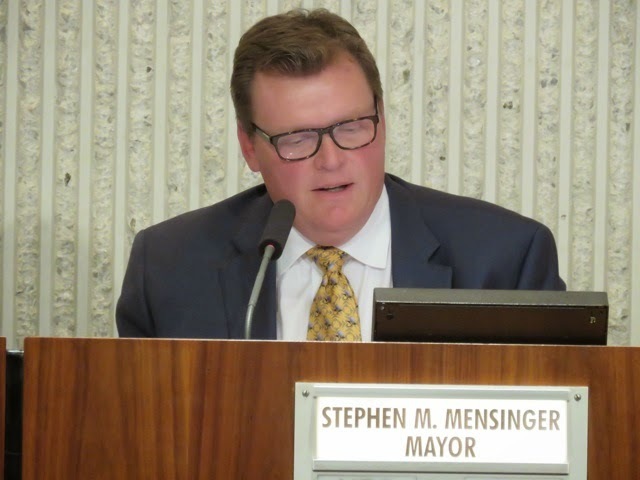 The Costa Mesa City Council meeting Tuesday night began a little late due to the protracted Closed Session, but ended early plus had a few surprises along the way. The evening began with Contract City Attorney Tom Duarte having nothing to report from the Closed Session - a meeting that had on the agenda four separate litigation items. 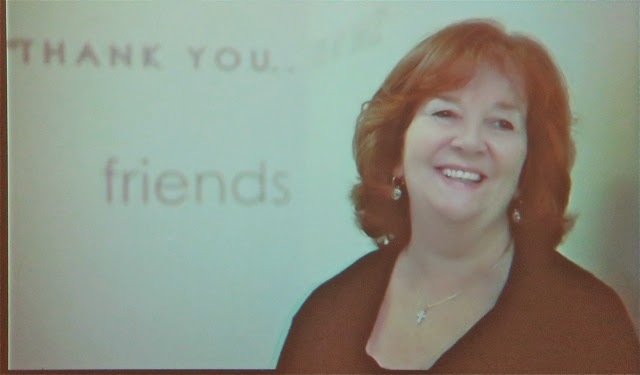 Then Karen McGlinn, CEO of Share Our Selves (SOS), was presented with the Mayor's Award for all the good works she and the organization do in our city. I thought this was ironic, since Mayor Steve Mensinger has referred to organizations like hers as "attractants" - organizations which attract less-than-desirable individuals to our city. It turns out that Mensinger and McGlinn's son are old schoolmates and chums. 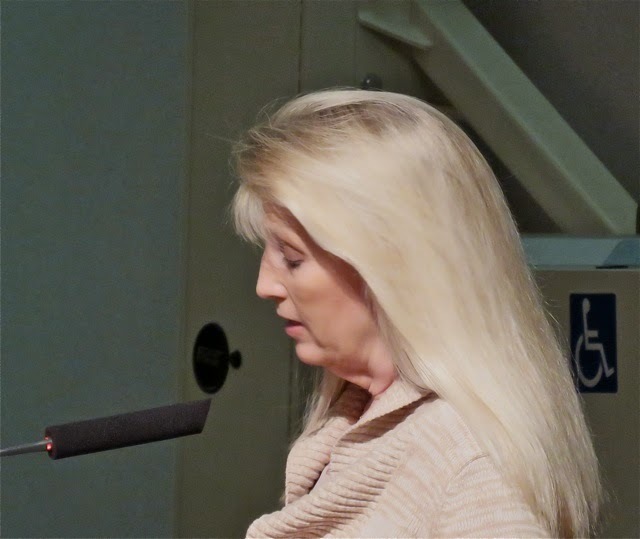 Ann Parker proclaimed Pollitt to be wrong, then spoke about a meeting in Newport Beach she attended last week which addressed the rampant drug use in our area, including heroin. Interestingly, nobody on the council said a word about it. I thought that was very peculiar, since it apparently is a big police problem in these parts. Jay Humphrey reminded us of two important meetings next week. 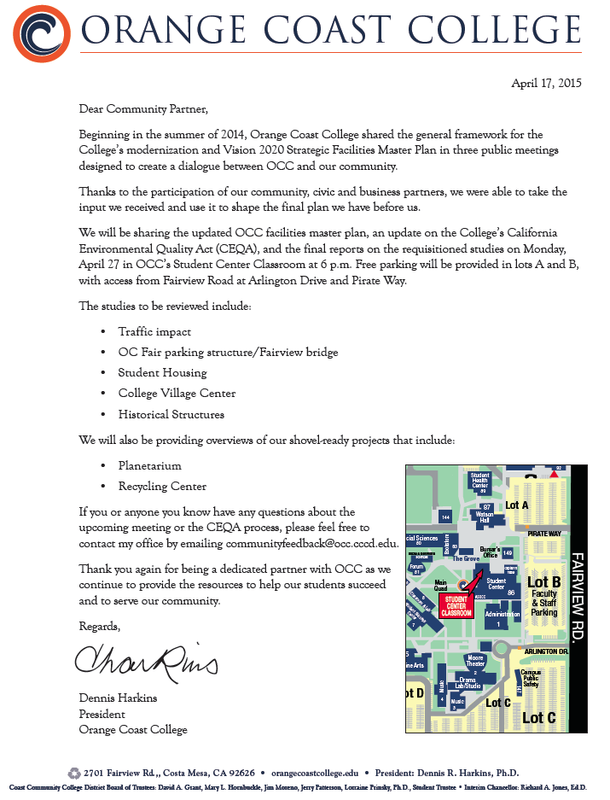 On Monday, April 27th, Orange Coast College is holding a meeting to discuss development plans beginning at 6:00 p.m. and the next day, Tuesday, the 28th, the Orange County Fairboard will have a meeting beginning at 6:30 to discuss current events, including noise, parking, etc. 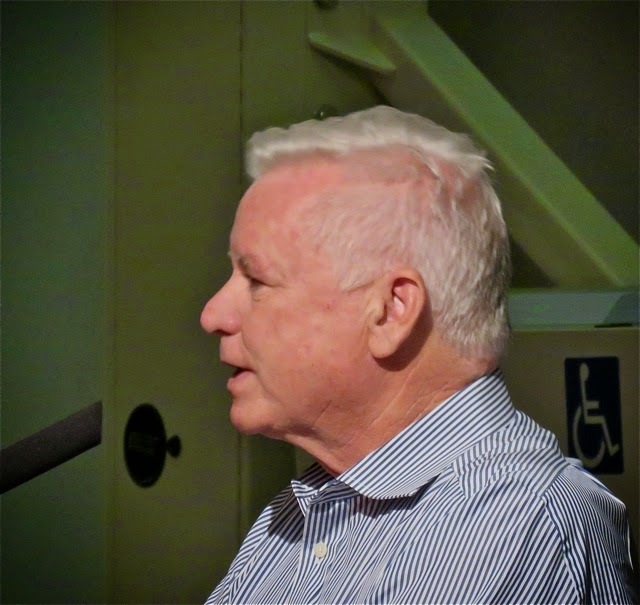 He then reminded Mensinger and Mayor Pro Tem Jim Righeimer of their promise to "pull out all the stops" to bring Costa Mesa Police Department staffing up to the authorized strength. 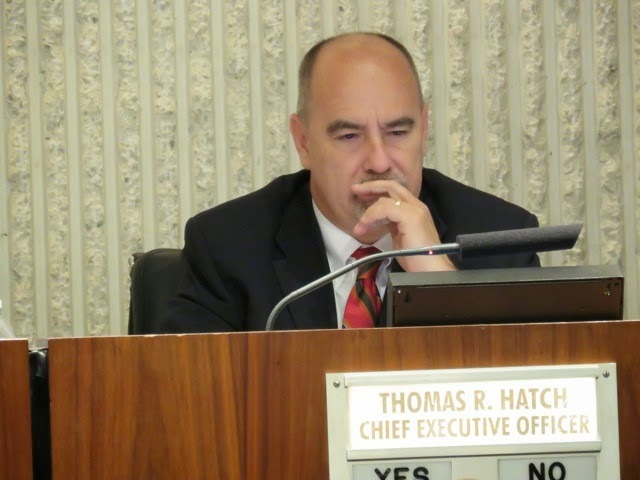 Chuck Perry praised the emergency responders from Costa Mesa and Newport Beach who aided his daughter recently and said he opposes the plan to swap the Neighborhood Community Center with the Library. 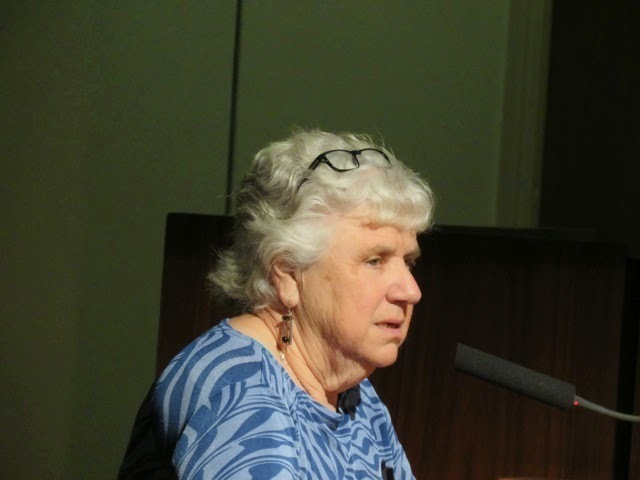 Former Mesa Water Director Trudy Hall gave a rambling, incomprehensible comment on desal. 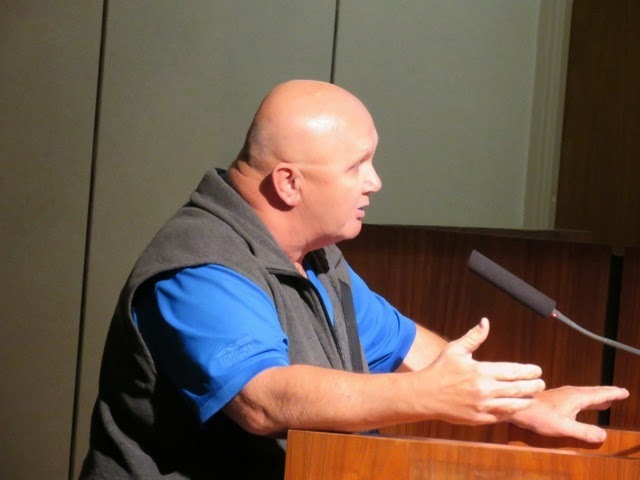 Scott Mahaffy complained about uneven treatment by the Parks and Recreation Commission. 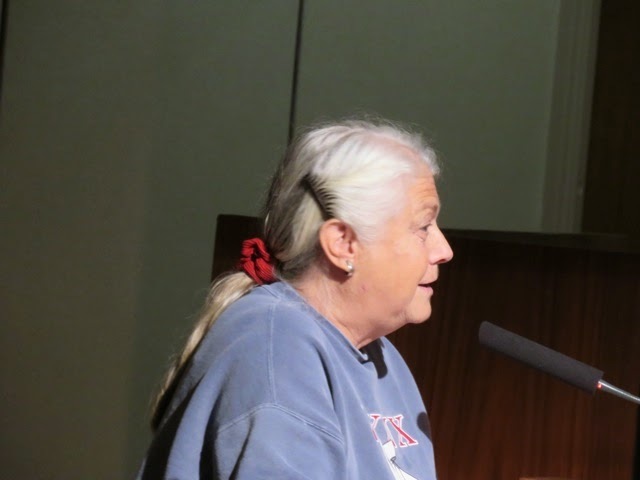 Mary Spadoni told the council there are 32,000 homeless kids in Orange County and more than 200 in Costa Mesa. She mentioned an organization that is making a difference - Project Hope Alliance. 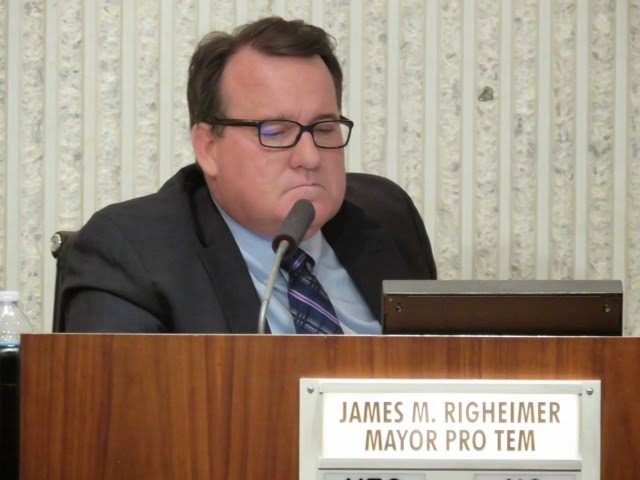 During Council Member Comments Righeimer told us - again - that he had resigned from the board of Mercy House, so NOW he could do something about homelessness in Costa Mesa. So far we've seen no action on his part. He then raved about the Group Home Ordinance and told us that the staff went to Sacramento last week (he stayed back here and participated telephonically), trying to meet with state officials on the issue. He then told us CEO Tom Hatch had recently been named Executive of the Year by the Association of California Cities. Mensinger praised Hatch by patting himself on the back because he had managed a couple hundred people so he said he knew how hard Hatch's job was. He asked Hatch to look into the complaint that homeless folks are increasingly inhabiting Wilson Park and being fed there. 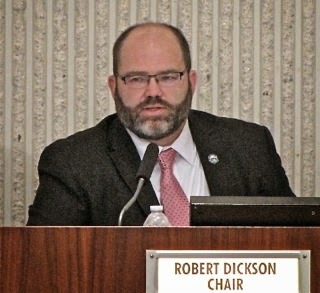 He mentioned the Mayor's Celebration on May 14th and suggested that the Water District make a presentation on conservation at a council meeting. 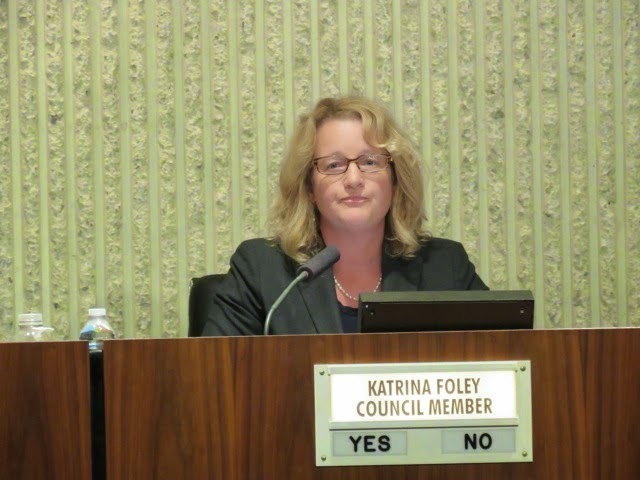 Katrina Foley praised Muriel Ullman for her good work with homelessness in our city and also supported Project Hope Alliance. She then took strong exception to the things Pollitt had said about the testing in local schools, and gave very specific reasons why. She also mentioned Costa Mesa is in crisis because of the large numbers of probationers and parolees. She said she'd recently met with Interim Chief Ron Lowenberg and was impressed with some of his plans. She also complained about the staffing levels in the CMPD and said that should be our #1 priority. 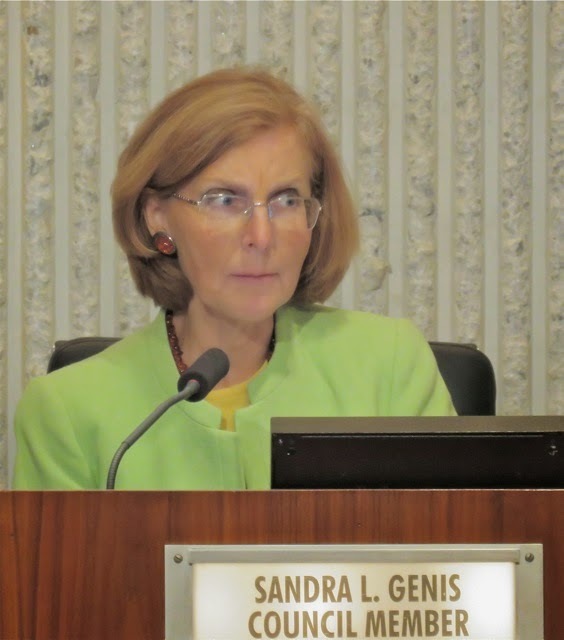 Sandra Genis asked for a review of how we charge for police services for the Orange County Fairgrounds and mentioned that the Emergency Operations organization (dispatchers) were severely understaffed, which is probably resulting in a delay in responding to calls. She then speculated on the utilization of "saved salary dollars" from unfilled positions was a result of poor management of the hiring process, and that it was a manipulation of the system where positions went unfilled for years - or months - intentionally, with those jobs being done by expensive consultants. She also discussed desal, and the real costs of that kind of effort. She then went into an instructional/preaching mode and reminded us we cannot treat people differently - referring to the 100th anniversary of the Armenian Genocide. 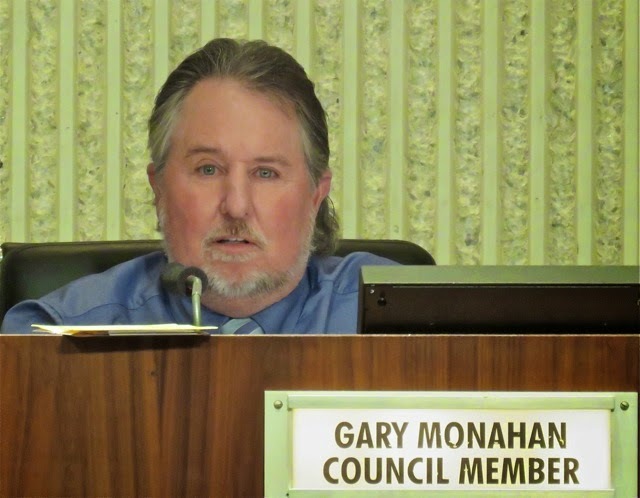 Once again, Gary Monahan actually had something to say. This is getting to be a habit. He mentioned the need to be proactive if the Fairview Developmental Center property becomes available. He mentioned Chamber of Commerce Director Ed Fawcett's retirement luncheon on April 29th and a fundraiser at his bar for two local schools. 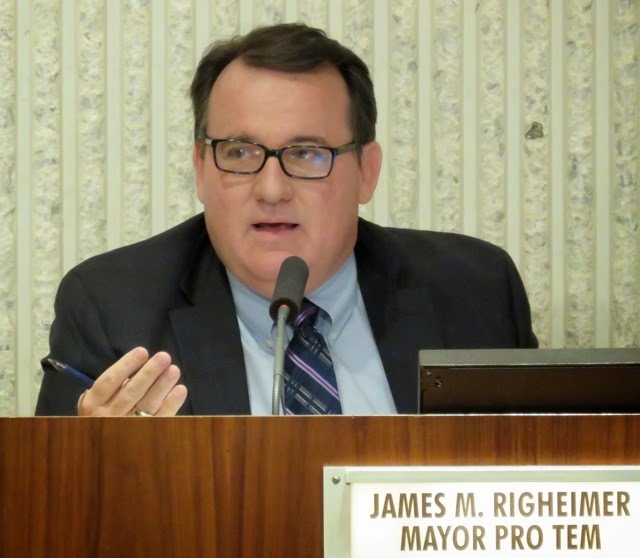 He agreed with Righeimer's homeless housing plan and told us we only have three (3) kinds of homeless in Costa Mesa. 1) Those on drugs or alcohol; 2) Those who are mentally challenged and 3) Those who are just down on their luck. He encourage everyone to call City Hall if they know of a homeless person who needed help. 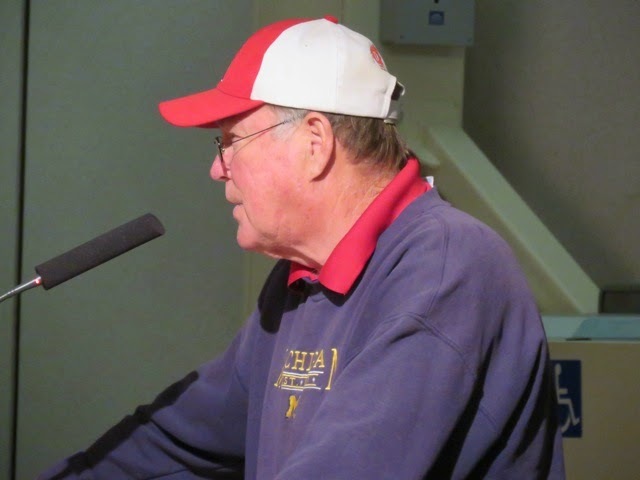 During his segment Hatch mentioned hiring Terre Duensing, a former County of Orange Emergency Operations Manager to help "move our program forward". He mentioned the grants received for a bike trail at the end of 19th Street. He mentioned that the Senior Center now had 1,500 new members and a new pool table. 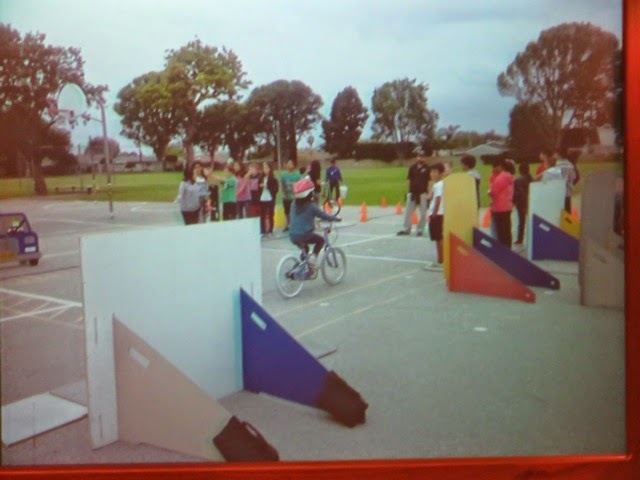 He then turned it over to Public Services Director Ernesto Munoz, who talked about a new bicycle safety program recently conducted at California Elementary School that will be expanded to all elementary schools in the city. Public Hearing #1, an appeal of a Planning Commission ruling about a convenience store at the 76 gasoline station at Newport Blvd, and Fairview Drive. Foley was angry that the appellant didn't show up to present his case. The council voted, 5-0, to uphold the Planning Commission's decision. Old Business #1, the second reading of the modifications to the Small Lot Ordinance, passed, but only by a 3-2 vote, with both Genis and Foley voting no. 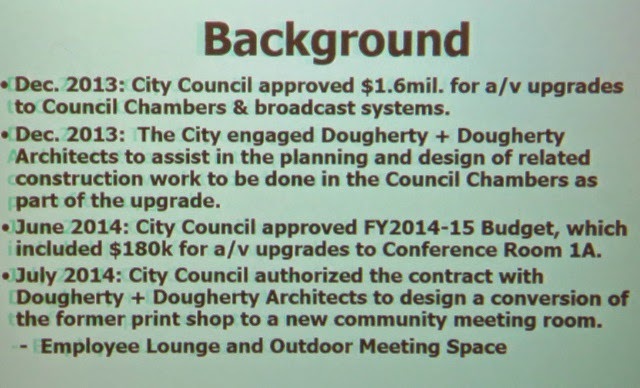 New Business #1, the re-purposing of the old Print Shop on the first floor of City Hall into a meeting room, plus improvement of the Employee Lounge and creation of an outside meeting area came next. Hatch led off the discussion with an explanation that, if approved, it would be funded by savings from unfilled positions in this fiscal year. He told us that they expected to have $2.4 million in savings from not filling non-sworn positions. He also said one of the motivations for this plan was to keep the Emergency Operations Center just that - and not use it for meetings. At that point Righeimer rudely interrupted Hatch because, as we all know, ANYTHING he has to say is much more important than anything anyone else might have to say. 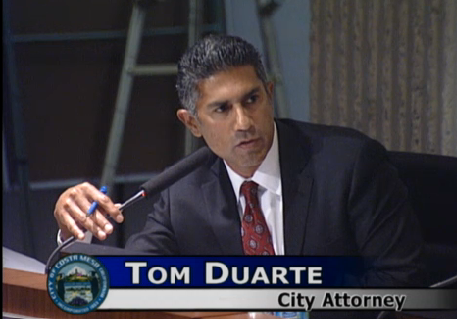 He said he couldn't support having the EOC sit dormant - "mothballed" was his term - waiting for an earthquake. Hatch tried to back peddle by stating that it might be used for computer training. Dane Bora and architect Betsy Dougherty then presented their views on the issue, showed us images of how the change might look and explained the $1.2 million in costs, and why doing it in concert with the renovations of council chambers and the audio/visual infrastructure is a good idea. Both projects would total just about $3 million. 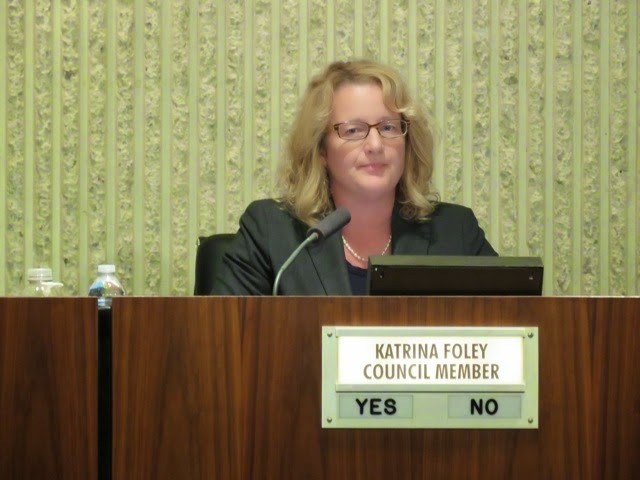 After more discussion Monahan moved the item and Foley seconded. Genis complained that it seemed ill-timed - that we still needed to re-build our reserves and Mensinger said the timing was not right - but gave no reason for his view. When the vote was taken, it passed, 3-2, with Genis and Mensinger voting no. Items pulled from the Consent Calendar were then heard. Cindy Brenneman asked for explanations for several items on the Warrant, #3. 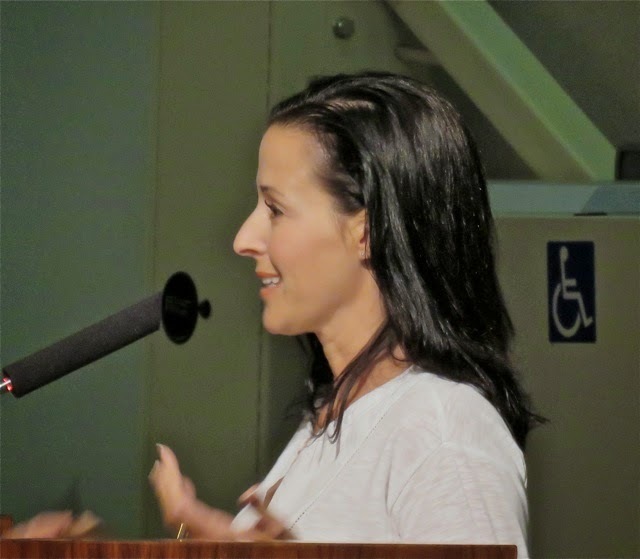 Ann Parker addressed #6, the turning over of a slice of property by the city to a property owner and Jay Humphrey and Brenneman took on #7, the request for "resident only" parking in a Westside neighborhood, indicating that it was just a symptom of rampant development throughout the city. That got him chided by Mensinger, telling him from the dais that "Jay is off base" criticizing development in the city. Yes, sir... that's one way to discourage public participation in the discussion of important issues - openly criticize them from the dais. And that was it... we were out of there before 8:30 and I actually got home before my wife went to bed for a change. Next up for me... the Parks and Recreation Commission meeting Thursday night. More on that later.